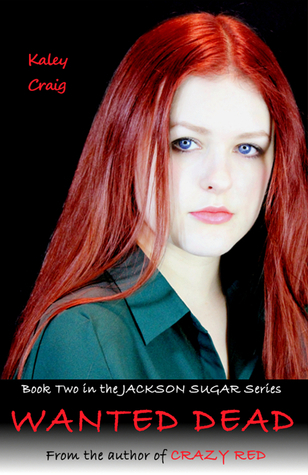 You can read my review on the first book in the Jackson Sugar series here. I totally adored Kaley Craig’s, Crazy Red. I was brimming with excitement to read the second offering, Wanted Dead.Let me tell you, I wasn’t disappointed. This book has more going on than Taylor Swift’s love life. The problem is that I can’t say too much without spoiling in for you, but I’ll do my best.The start of this book depicts the newly wed, pregnant Maggie. Edmond always made my skin crawl from the first book. He’s a very shifty character and when he’s in a scene he forces the hair on the back of your neck to stand on end. He smacks of an abuser even when he’s being kind. I’d love to slap his face and drag Maggie the hell outta there. Craig has penned his character with perfection, and I stand in awe of her ability to make each of her characters feel so real that you could almost smell, touch, and taste them.Not only is Craig a master at creating vivid characters, she’s a weaver of complex plot shifts and epic storytelling. The problem being that she didn’t just break my heart at several points during Maggie’s harrowing journey; she squeezed, tugged, pulled, bashed and smashed it to smithereens.In the first book I watched Maggie move from an abusive relationship with her mother, Sybil, to a just as bad one with Edmond. Her hopes and dreams are dashed at every turn of the book. There are happy, sweet times to be cherished within these pages, but Maggie just can’t seem to catch a break. The ending almost nearly damn killed me, and if I resided closer to Kaley Craig it would have caused my jail sentence for assault. I’ve discussed the likelihood of another Sugar Jackson book and she’s not sure if she’s going to go ahead. Well, I bloody well demand that you make Maggie happy! NOW!I cannot write a review on this book without mentioning the illustrations, too. If you’re going to purchase it, then I strongly suggest you head for the paperback version. I believe they are still in the e-book but they’re extraordinary enough to make you want to smooth your fingers over them on an actual page. They compliment the story wholly and force strong emotions from you in regard to what’s happening in line with the scene. I applaud the artist, Victoria Skye Cleveland for her outstanding work.Let me warn you, this book is long. Whilst I’m not a particularly slow at reading, I’m not mega fast either. It took me ages to read. Far be it from a lacking plot line. Plot is something this book has plenty of, but I’ll admit I’m not really into awfully long stories. I really think there would have been benefit in splitting the story into two. However, if you’re a lover of a lengthier novel than most, with thrills, spills (tears), and chills you need this book in your life.The length was the only thing I didn’t like about the book. Therefore I award Wanted Dead 4.5 cookoo clocks. Kaley Craig - Kaley worked within the Georgia Criminal Courts for more than decade, first as a sheriff's deputy, and later for the Public Defender, where she was Lead Investigator on eight capital (death penalty) cases.Earning degrees in Criminal Justice and Education, she has also worked as an educator and social worker.Kaley is now a freelance web designer and photographer. The proud parent of three adult daughters and four rescue animals, she currently lives with her family just south of Atlanta.